This shawl is not for the faint of heart. Not that the pattern is difficult or hard to follow, just a lot of knitting. 200,040 stitches so far, not counting the 40,000 that I had to rip back when I found a mistake So glad that I did that, as I would have always been bothered by it, nobody else would have noticed. This number also does not count the 4,816 stitches for the applied I-cord that I have to do yet. I first started to do the row calculation by hand, and quickly realized that was going to take me forever, and be mistake prone. Enter Excel who did the calculations in 3 minutes. I changed the end color to a beautiful dark eggplant. I like how it looks so far, it will be interesting to see how it looks when wearing. I also found that I had to add an additional lace row. I have looked over and over at the pattern, and I think that if you do not add that additional lace row, you will have puckering at the edges, as there will be too many straight garter stitch rows at the end before the I-cord. After a few early mistakes, I discovered the key to working this pattern, because you do not want to have to rip it back, or correct a mistake from several rows below. I figured out how each new lace row was suppose to align with the one 8 rows below, and focused as I was knitting that row. If the alignment became off, I knew I had a mistake in that quadrant of the shawl (as the shawl is picked around a center knit square, and knit in 4 sections with an alternating slip stitch at the corners). On the next row, I counted the 8 yarn-overs and 8 deceases over and over and over. My second insurance policy. Mistakes were easy to rectify at that point. The last 6-8 inches I used a 60″ circular needle. Addi Turbo are the only ones who make that length. I was a bit concerned at first, as I normally prefer a wood needle, especially for socks and lace knitting. I was pleasantly surprised with how well this worked. I did have a few times where the stitches slid off the end when I put it down, an issue that does not really occur with wooden needles. Grace Anna told me she did the whole shawl on 40″ circulars, I don’t know how. I had some room on the needles at the end, but definitely had to push the stitches around. Now on to the I-cord edging, another 4,816 stitches. Pales by comparison. We are in the car for a long drive this weekend, so I plan to work on that portion then. 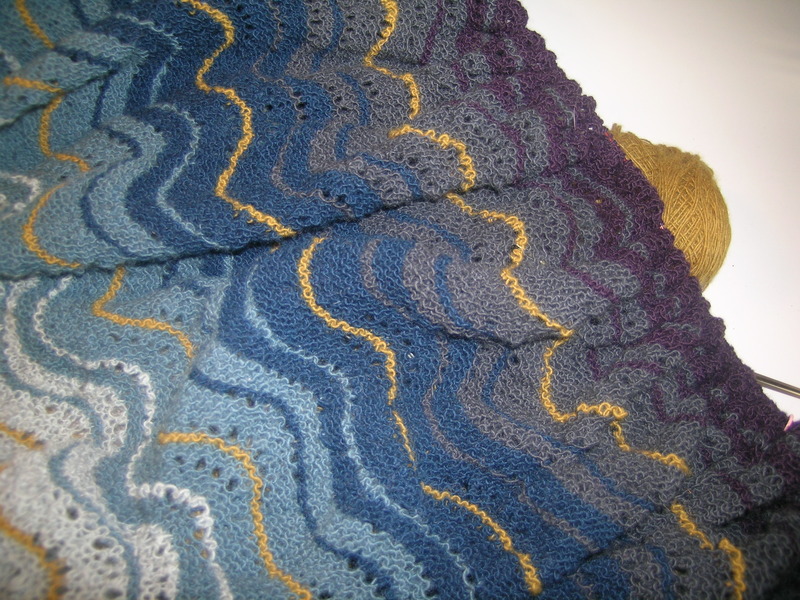 I have loved watching you knit the shawls from this book, and your color choices – just lovely! Added to my wish list 🙂 Have a nice trip! Thanks, I love the patterns also. Highly recommended. Hi I just found your blog after searching for the Grace Farrow Volt shawl that I saw a photo of. It loooks wonderful, from your photo of the finished shawl. The graduated shades of grey are just beautiful. I live in the UK and I don’t think that Isager yarns are available here, more’s the pity. Looks wonderful yarn to work with. 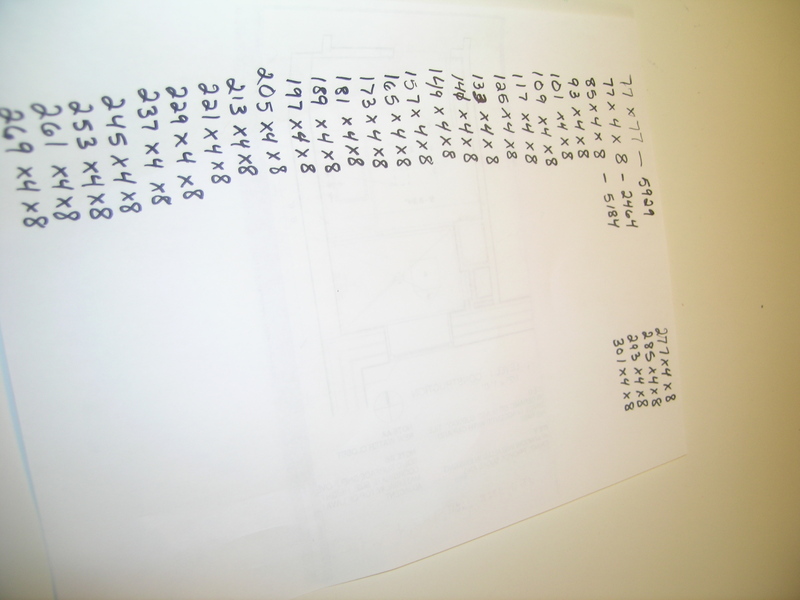 To the present post: is it a good idea to count the total stitches in a project? It makes it seem like climbing Mt Everest! 1000 stitches per row does genuinely sound daunting though – must make it hard to feel that you’re making much progress. It is looking beautiful, and the colours are lovely, so it must be well worth the effort. I HAD to post the number of stitches, just to make myself feel better about how long this project was taking!